Not sure what to include on your survival gear list? Well, here are some helpful tips to making it more manageable. For starters, you want to consider several possible perspectives depending on the type of scenario you are planning for. You can choose to include gear that is all modern and relatively high-tech in nature. On the other hand, you might only include simpler and more primitive gear only. Oftentimes the best approach is to include some of both. First, you want to be sure that any kind of gear you do include is something you are very familiar with. 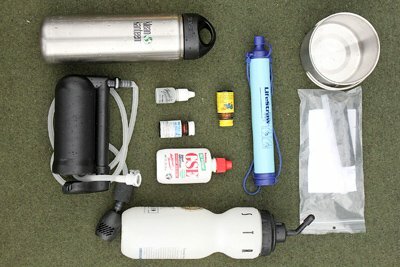 You want to make sure you are completely confident in using all of the materials on your survival gear list before you actually include it in a pack to be used in the field. Bringing untested and unfamiliar gear is possibly going to put your life or your family’s life in very real danger. Simple tools such as flint and steel for fire making, a knife for carving or a hatchet for splitting wood are great. Remember, that simple does not mean easy. Practice using these tools under different conditions, including during difficult weather, in poor light and while cold and tired. 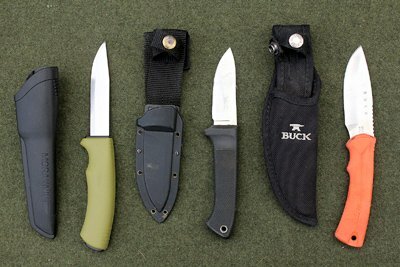 Having redundancy in your survival gear list is also a wise approach. For example, having multiple tools for making a fire, more than one knife, extra batteries and so on. This must be tempered with the need to keep your pack or other gear containers light and portable, which brings up the questions of how long will you be counting on this gear? The type and amount of gear you will need can vary considerably depending on the amount of time you will be out. Below are two lists that include both high tech and more primitive tools to include on your list and in your packing. 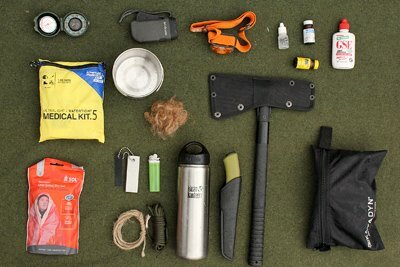 Here is a recommended survival gear list for a short-length wilderness survival situation. Several fire starting methods: lighter, matches, flint and steel with a magnesium strip. Here are some additional pieces of gear to add to a survival list for a more extended survival situation. All of this gear starts to add up in weight. Practice with everything until you feel confident with each item. Short term survival is about making it through and finding help. A wide variety of materials can be utilized for this purpose from a survival gear list and don’t have to be limited to what was suggested here. Long term survival, also called “wilderness living,” is also dependent on an intimate knowledge of the land, and generally requires the cooperative actions of a group of people as in a tribe or village. For long-term survival to be sustained, hard-won knowledge must be used. Such knowledge is often passed down from generations of people who have practiced it. 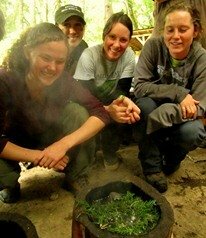 Wilderness living is about cooperating with others, including all the living beings on the land that sustain life. Remember the most important survival skill is your knowledge. Educate yourself on how to survive in the wilderness by taking classes from experienced bushcraft practitioners and survival schools. Nothing beats learning directly from an experienced instructor and practicing with their coaching.